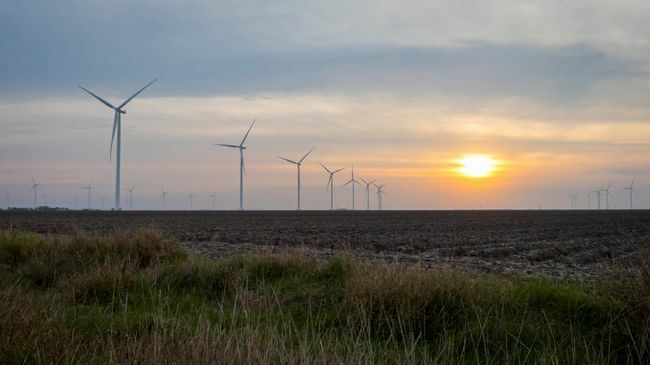 CHARLOTTE, NC - Duke Energy, Samsung SDI and Younicos will team up to update Duke Energys 36-megawatt (MW) energy storage and power management system at the company's Notrees Windpower Project in west Texas. The system, one of the nation's largest, has been operating since 2012 with lead acid batteries. Over the course of 2016, these batteries will be gradually replaced with lithium-ion technology. "The Notrees Energy Storage Project has proven to be a valuable asset, achieving the objectives of our partnership with ERCOT (Energy Reliability Council of Texas) and the Department of Energy," said Greg Wolf, president of Duke Energy, Commercial Portfolio. "Because battery technology is rapidly evolving, we have an opportunity to upgrade the facility to better match the function that has become most valuable in the Texas market -- fast response frequency regulation."
Duke Energy, the nation's largest electric utility, currently owns nearly 15 percent of the grid-connected, battery-based energy storage capacity in the U.S., according to independent research firm IHS Energy. Duke Energy works closely with ERCOT, which signals to the battery storage system to either dispatch stored energy to increase frequency or absorb energy to decrease frequency, helping to smooth and balance peaks and valleys on the ERCOT grid. By rapidly storing or releasing energy, the system can respond quickly to regulate frequency and provide additional services for grid management. Samsung SDI, as primary engineering, procurement and construction manager, will provide its high-performing lithium-ion batteries and associated Battery Management System (BMS). 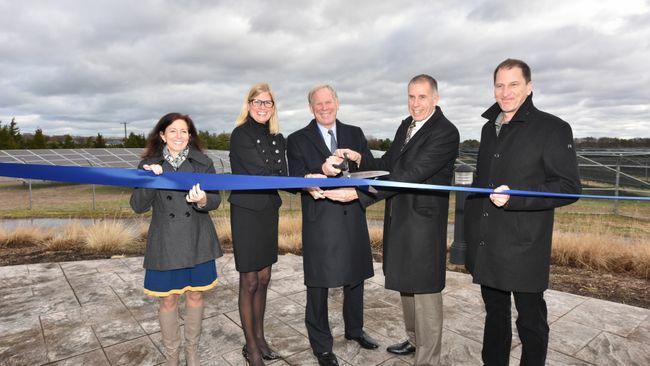 "We are proud to share Duke Energy's clean energy ambitions and to give a new heart to the nation's largest power battery storage facility through our most innovative lithium-ion batteries and battery management system," said Woochan Kim, senior vice president of Energy Storage for Samsung SDI. "Our solution is designed to boost Duke Energy's performance in the ERCOT fast responding regulation service market, and we are committed to partner with Duke Energy throughout the lifecycle of the product with our industry renowned performance guarantee." Younicos will provide its energy storage management system (ESMS), which will work in concert with the Samsung SDI software and batteries. The Younicos ESMS interprets the signal from ERCOT, enabling the Notrees battery project to store or dispatch energy as needed, while maintaining the energy storage system in an optimal performance state. "Younicos continuously engineers, analyzes and innovates to identify optimal solutions for intelligent storage applications. The result is this next generation of control systems at Notrees," said James P. McDougall, Younicos CEO. "We applaud Duke Energy's continued leadership in energy storage adoption, and we're excited to work on this project with both Duke and Samsung SDI, with whom we have a long track record of successful project deployments."
Younicos is also providing system design, engineering, software integration and testing, along with post-implementation engineering services. In 2009, Duke Energy announced plans to match a $22 million grant from the U.S. Department of Energy (DOE) to install large-scale batteries capable of storing electricity from the grid or produced by the companys 153-MW Notrees Windpower Project. The system, one of the nation's largest, is located in Ector and Winkler Counties, Texas, and has been operating since 2012. 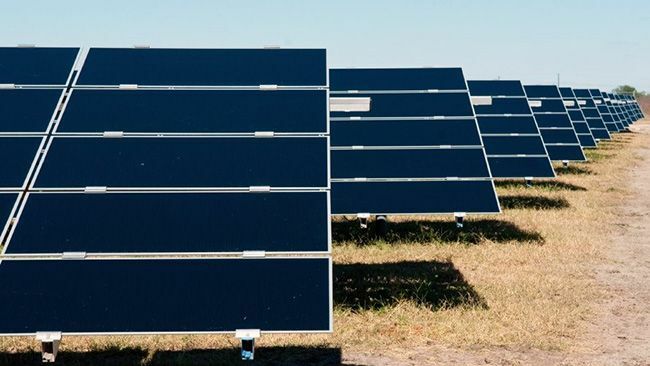 Duke Energy Renewables, part of Duke Energy's Commercial Portfolio, is a leader in developing innovative wind and solar energy generation projects for customers throughout the United States. The company's growing portfolio of commercial renewable assets includes 16 wind farms and 24 solar farms in operation in 12 states, totaling more than 2 gigawatts in electric-generating capacity. Learn more at www.duke-energy.com/renewables. Samsung SDI Co., Ltd., established in 1970, is an affiliate of the Samsung Group and has been the global leading manufacturer of lithium-ion batteries for Mobile Applications. Leveraging this position, Samsung SDI is focused on the technology leadership for electric vehicles and energy storage systems (ESS) and is recognized as the largest ESS battery supplier, according to B3, an independent research firm specialized in the lithium-ion battery industry. The company offers a broad range of ESS product line-up from kilowatt to megawatt for customers all over the world. For more information visit www.samsungsdi.com. Younicos is a global leader for intelligent energy storage and grid solutions. Clients benefit from technical expertise, commercial know-how and in-depth experience built on nearly 100 megawatts installed across more than 20 energy storage projects worldwide. The company was founded in 2005 in Berlin, Germany, and currently employs more than 120 storage enthusiasts there and in Kyle and Austin, Texas. For more information visit www.younicos.com.